Are You the Right Candidate for LASIK Surgery? When a procedure for LASIK surgery is successful, it is because the candidate has reviewed his or her options and has confirmed that he or she is the right candidate for this type of treatment plan. Laser eye surgery will assist you in seeing more clearly, provided you meet the following types of criteria. In order to undergo a laser eye treatment like LASIK, you must have healthy eyes. If you currently suffer from conjunctivitis, dry eye syndrome, an eye infection, or eye injury, you need to wait until any of these conditions have been resolved. In some instances, the patient may even suffer from excessive tearing. If you have any of these kinds of symptoms, it is important to address them with a doctor who specialises in LASIK in San Antonio. 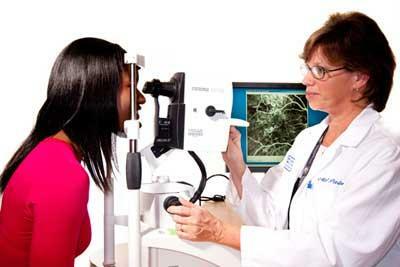 By discussing your symptoms, the doctor can determine if dry eyes are a problem during a preoperative assessment. The condition, if diagnosed, is treated with medicated eye drops, punctal plugs, or artificial tears. It can also be alleviated with fish oil supplements, flaxseed oil, or a combination of remedies. What Size Are Your Pupils? If you are a good candidate for LASIK, you also must possess pupils that are moderate in size. Patients with overly big pupils are at more of a risk for such side effects as starbursts, glares, or halos. This can occur when performing an activity, such as driving, in a low amount of light. Needless to say, you need to obtain a thorough eye exam before you consult with an eye doctor about laser surgery. If you have cataracts or uncontrolled glaucoma, you will not be able to take advantage of the procedure. Also, if your cornea is too thin or the surface of the eye is misshapen or irregular, LASIK could affect the results and negatively impact your eyesight. However, if you have been told that your cornea is too thin in the past, you still may be able to have the procedure performed. By using a different kind of laser, the surgeon may be able to make the flap of the cornea thinner, thereby preserving more of the tissue for surgery. If you still find that you do not qualify for this type of eye surgery, you may have other options available to you. Therefore, in some instances, this type of surgery can be replaced by another treatment plan.